(Bass Builders). Build your bass vocabulary in a variety of styles with this comprehensive collection! Styles covered include blues, jazz, rock, funk, R&B, country, Latin, hip-hop, gospel and more. 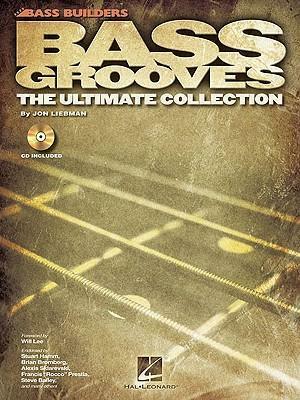 The online audio files include all 150 grooves for demonstration and play-along. The audio is accessed with the unique code printed in each book and features the PLAYBACK+ audio player that allows you to slow down audio without changing pitch, set loop points, change keys, and pan left or right. Endorsed by Stuart Hamm, Brian Bromberg, Alexis Sklarevski, Rocco Prestia and others! Illustrations note music and tab.